As a supplement to our primary Exploration wells coverage we now serve an additional wells layer of selected additional deep boreholes compiled over areas of limited exisiting coverage and control. 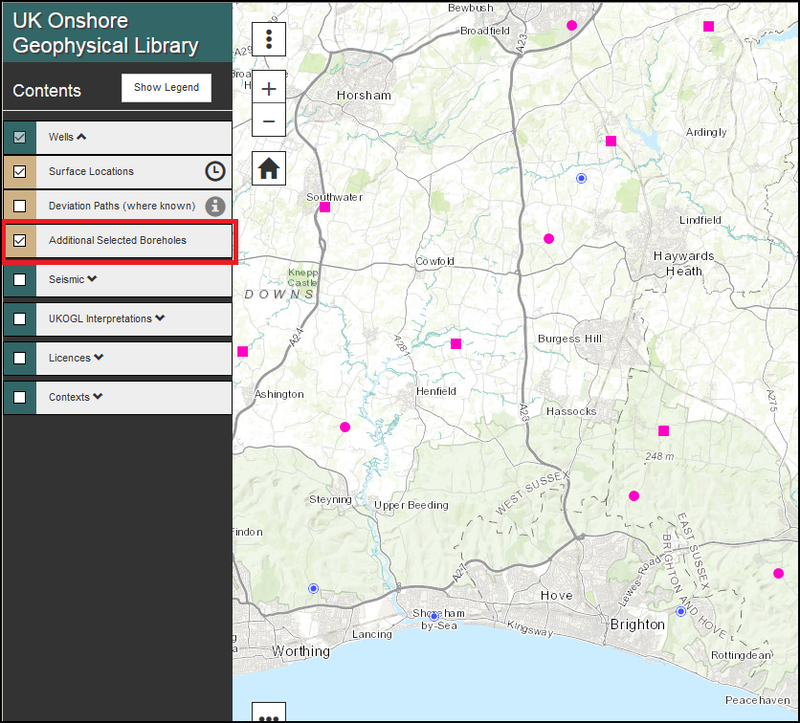 Providing access to an expanded Formation Tops database this resource has been compiled from a number of open access sources and sub surface memoirs, primarily derived from information held within the British Geological Survey’s Borehole Scans archive. 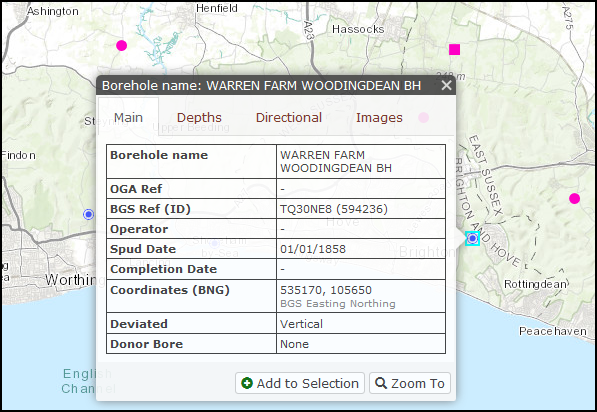 For further information and access to extensive source records please visit the BGS site. This compilation is an ongoing project and is still in its early stages, with the initial focus being across the south of England. 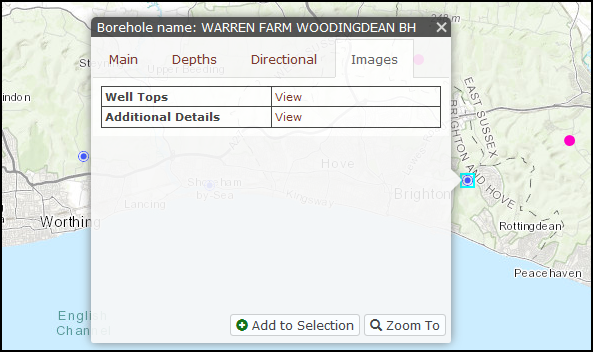 New data will be added on a regular basis and this layer, shown as blue ringed well spots, can be displayed on the map via the Wells Tab in the Table of Contents as below.